Effective July 1, 2015 the state of Minnesota has reduced construction code licensing fees by about $20. This change is set to lower license costs for construction contractors, electricians, plumbers, and high pressure pipe fitters. Minnesota has been working hard to make its licensing process more efficient, and through these efficiency gains they are now able to pass down the cost savings to contractors. In 2012 the online ReNew licensing system was launched to allow individuals and businesses to apply for and renew a license online. By creating and launching this system, the DLI has been able to process applications and renewals much faster, and at a lower cost. The DLI has four different levels of licensing: Entry, Journeyworker, Master, and Business. Each of these license types have their own associated fees. These fees have been reduced for all four levels, and the DLI says these lower licensing costs will stay in place until June 30, 2017 when they will be re-assessed. 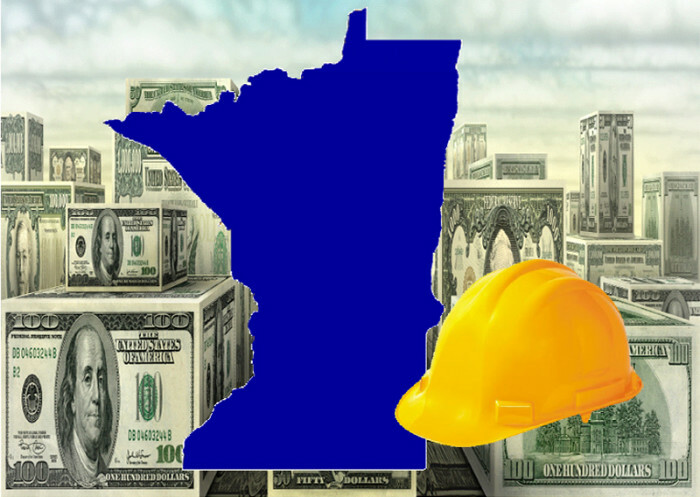 Along with the license fees being reduced, Minnesota’s Construction Codes and Licensing Division has also reduced the building permit surcharge fee. The state surcharge applied to “fixed fee” building permits used to be $5 but now has been lowered to just $1. With these reduced fees and rise in construction activities, there has never been a better time to get your license. In order to get your Minnesota Residential Builders or Remodelers license you need to pass the state exam. This MN Builders and Remodelers exam is 110 questions and includes both business/law and trades. If you are considering taking the exam, there are great exam prep resources available that have a 100% money back guarantee that you will pass. The Builders License Training Institute has an online MN Exam Prep Program that is fantastic for everyone from entry level contractors to veterans of the industry who are deciding to get licensed. This entry was posted in Code Officials, Construction, Electrical.